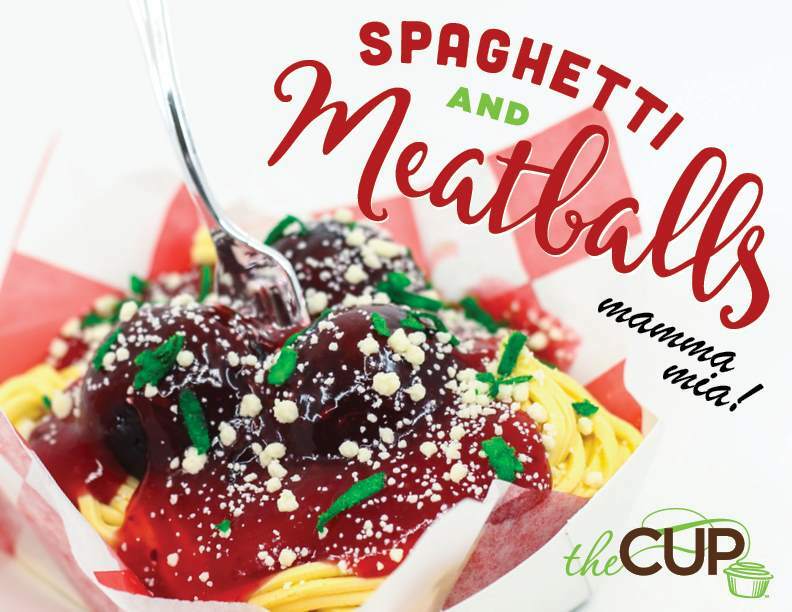 The Cup is excited to share its 2019 April Fool’s Day cupcake, this year inspired by spaghetti and meatballs. Previously The Cup has created cupcakes mimicking mashed potatoes (2015), taco salad (2016), a root beer float (2017) and fried rice (2018). The Spaghetti and Meatballs Cupcake will be available March 29, 30 and April 1 at both locations of The Cup (Central West End and Edwardsville, IL) until sold out. Limit of 12 per customer.